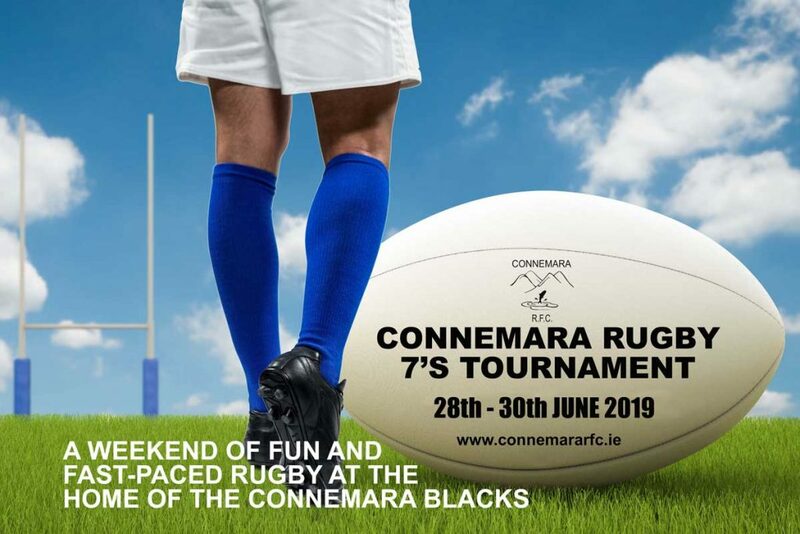 Connemara RFC invite your club to the 9th annual Connemara 7’s tournament. This fun filled weekend of rugby will take place from Friday 28th to Sunday 30th June 2019. We welcome your club’s participation in the tournament which will cater for both men’s and women’s teams. Refreshments will be available at the pitch and lively entertainment will be provided over the weekend in the festival marquee. Accommodation is available locally. This is an ideal opportunity for teams to test themselves against other clubs/teams before the season begins and can also double-up as an end of season get-together. The tournament has been well supported since it started in 2011 and we have no doubt that the 2019 tournament will again provide players, supporters and spectators with some fast paced rugby and a fun filled weekend at the Monastery Field in Clifden, Connemara. The participation fee is €120 per team. More than one entry per club is welcome as are International & scratch teams. Please confirm interest ASAP via e-mail to info@connemararfc.ie or by contacting Rory on 087 2203178.